Put on your stretchy pants because Restaurant Week is back! 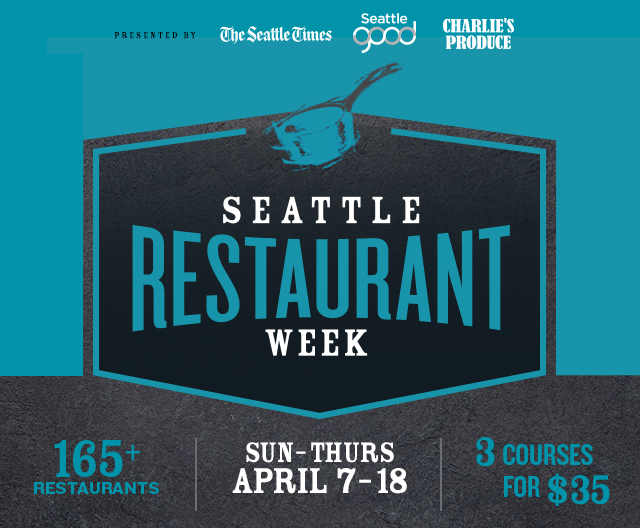 This bi-annual culinary celebration offers delicious deals April 7 – 18, and it’s not just in Seattle! More than a dozen Downtown Bellevue restaurants will have three-course dinners and two-course lunch specials available Sunday through Thursday. Dinners will typically consist of an appetizer, entrée and dessert for $35, and will be a $42 value or greater. Lunches will be either appetizer and entrée or entrée and dessert. Reservations are not required but are encouraged. Here’s a sneak peak into BDA Member restaurant menus, for full menus, check out the Restaurant Week website. For more info on Restaurant week, menus, and other participating restaurants, visit the event website.